As we all may know that Deep & Extreme Indonesia exhibition was finished at 30th March 2014, and all the participant were backing home with difference results. Some may said that this event is highly successful for their diving business; some may need improvement to capitalize the benefit for next year’s event. For Shark Diving Indonesia itself, this event is highly beneficial to acknowledge the world that Shark Diving Indonesia existence is important for the Morotai Tourism and Shark Conservation / Knowledge. For the position as a sole Dive Operator – by far – in Morotai, Shark Diving Indonesia try to sell the excitement of shark diving to the potential customer as well as other point of interest: Wreck Diving! 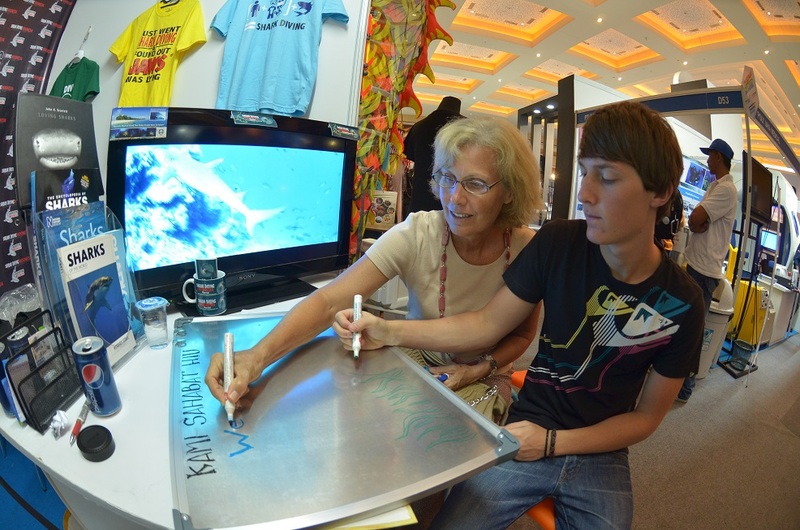 Despite there are no real commitment from the client during the event, it is obvious that many visitors have interest to dive with sharks in Morotai, at least, express their hopes that someday they will dive with sharks. However, some questions were frequently addressed: the difficulty in transportation to Morotai, the accommodation in Morotai, the safety of shark diving as well as the price. Shark Diving Indonesia tried to explain that even though the transportation is not as easy as when the fast-boat served the connection between Ternate and Daruba within 4.5 hours, there are a lot of options to cope this difficulty. Regarding the accommodation, Shark Diving Indonesia will work with the local resorts and hotel that this is a real issue raised by the potential visitors. The safety of shark diving is a knowledge that continuously evolves and put as main concern from the owner of the Shark Diving Indonesia owner as well as all the crew in Morotai. The price itself is dynamic, depends on many factors such as the fuel surcharge, the distance to the dive site, the accommodations, the service and so on. Shark Diving Indonesia positioned them as the one of the center of excellence for the shark research in Indonesia, provided that current research is in progress to provide bank of data of the shark abundance and behavior in Morotai Islands. 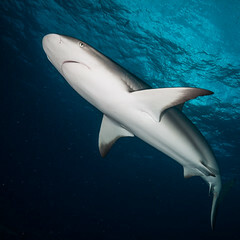 Many organizations can claim themselves as a shark lover, but without any research basis, it is believed that the love will end up as a “lifestyle” or “trend”. As a compliment, Shark Diving Indonesia also campaign the “Friend of Sharks” as one of its strong effort to start the shark conservation in Morotai. Some celebrities, activists, student, as well as the minister are supportive to this effort. “Friend of Sharks” campaign is the beginning of the shark conservation journey which will need consistent supports from all stakeholders including the government, academic society, and the public. From the government, commitment to support the effort of shark conservation is verbally given by local authority of tourism and creative industry of Morotai. Roy Suryo, the minister of sport and youth, also verbally supportive for the shark protection effort, during his visit to the Shark Diving Indonesia stand.